1 OWNER! Carfax Certified! Triple Black! 65K Miles!!! Amazing Condition! 1995 BMW 318 I * 65K ORIGINAL MILES * Triple Black * 1 Owner * All ORIGINAL* No Accidents with a PERFECT vehicle history Report * Automatic Transmission * 1.8 Liter 4 Cylinder Engine * Power Seats * Memory Seats * Cruise Control * Power Windows * Power Door Locks * Power/Heated/Auto Dim Mirrors * Dual Climate Control * Factory Alloy Wheels * Factory AM/FM/CD * Keyless Entry Very rare car!!! 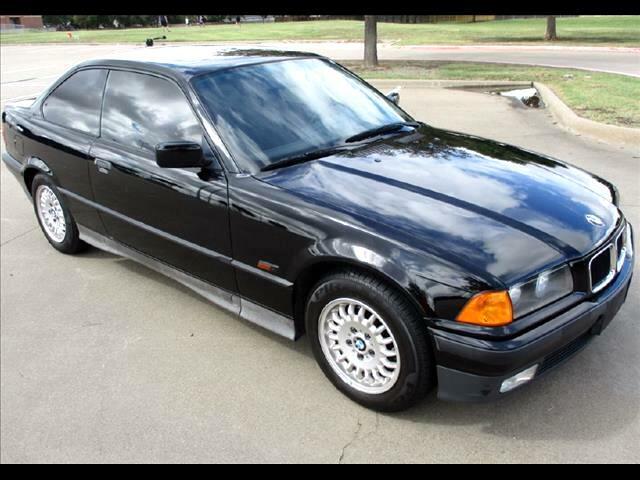 This is a 1 OWNER ALL ORIGINAL 318i Coupe! This BMW looks like it just left the dealership when it was new and is fully loaded. It really has 65K miles on it. This car was just professionally mechanically serviced. We have had a 125+ point CERTFIED INSPECTION done on this vehicle. The car needs absolutely nothing and EVERYTHING works on the car. All of the lights in the cluster/panels are fine. Inspection is current and the tires are less than a year old. The car has a Clean/Clear Texas Title!!! The 125+ point inspection and vehicle history report are in the vehicle for your review upon test drive. The Metallic Black exterior is absolutely FLAWLESS (Garage Kept) there are no dents, scrapes or scratches, NOT EVEN A DOOR DING!!! This car has been garaged Kept!!! The Black Leather interior is also in FLAWLESS condition there are no rips, tears, burn holes, stains or wear marks on the Leather seats or carpet! Guaranteed no disappointments! Must see and drive the flawless condition of this car to believe! PLEASE SERIOUS INQUIRIES ONLY! Message: Thought you might be interested in this 1995 BMW 3-Series.